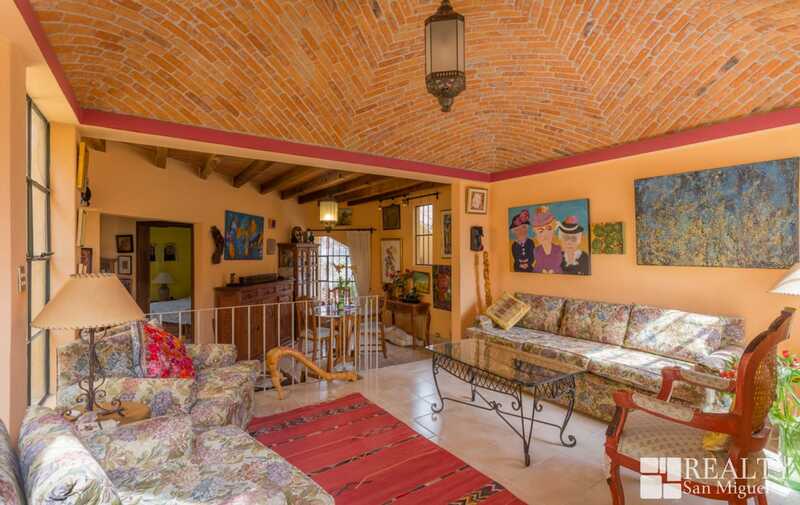 With no HOAs, Casa Los Patios is a turnkey investment property ideal for a modest budget, in excellent condition and ready to welcome its new owner(s). 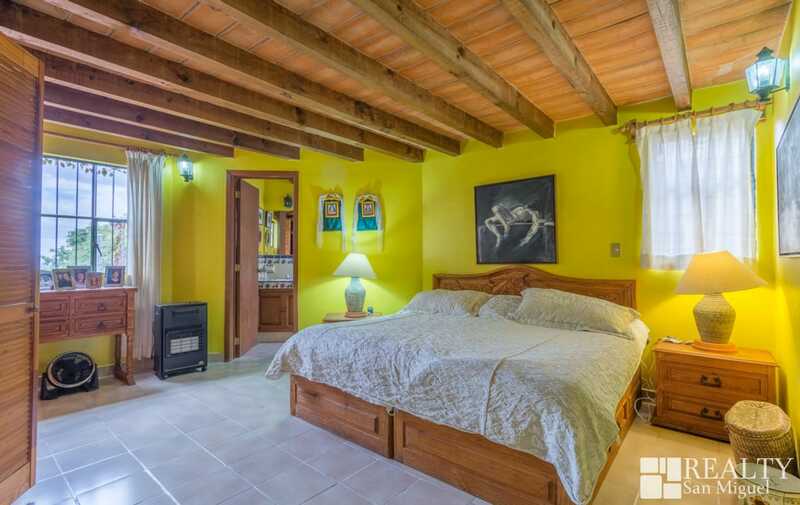 Contact us to schedule a visit as soon as possible – this type of property never stays in the market for long. 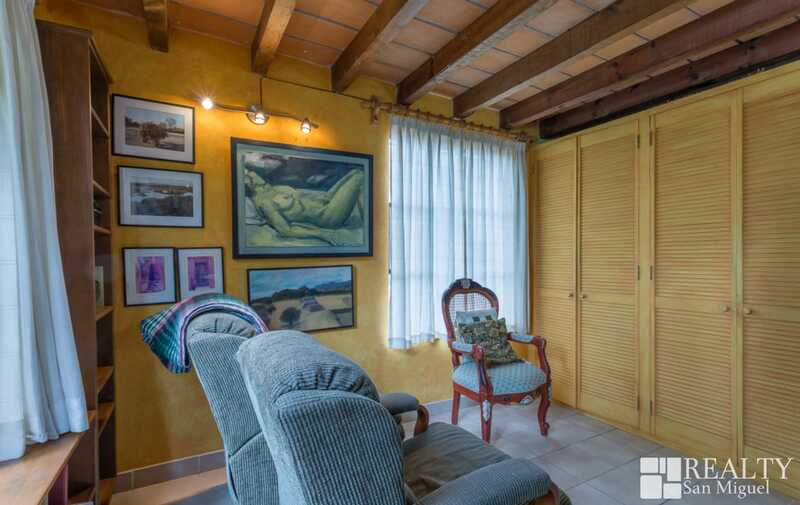 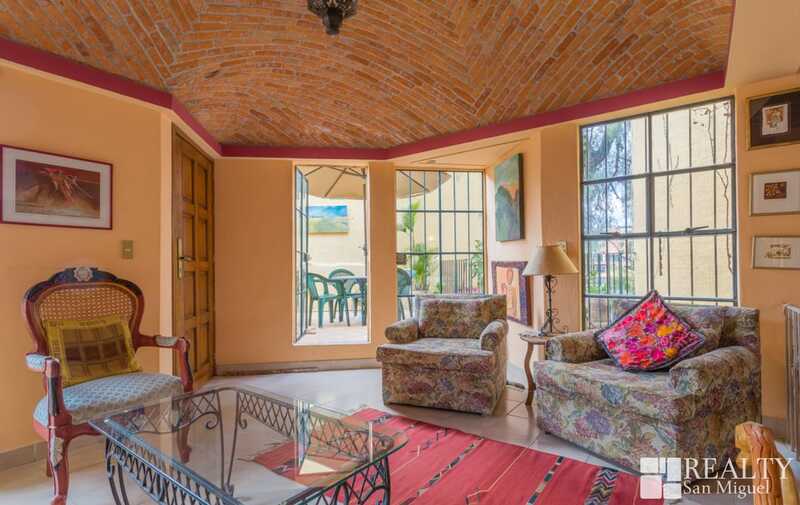 This two-floor condo, bathed in beautiful natural light, is superbly located in front of renowned boutique hotel La Puertecita, just above the gate. 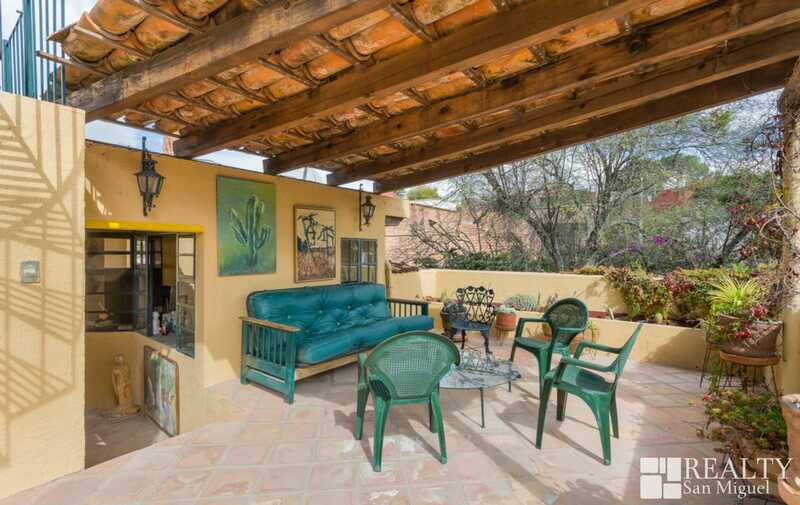 It has never been rented out before and therefore is very well maintained. 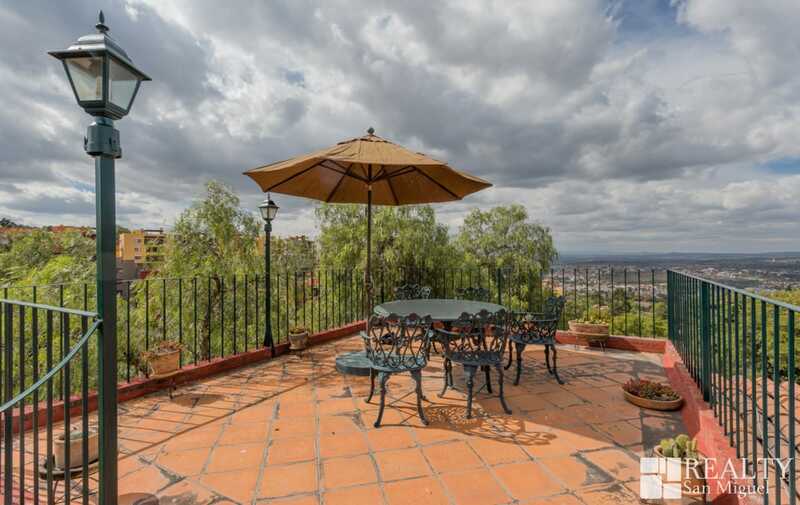 Its North-South orientation will allow you to enjoy fabulous sunsets daily from its rooftop terrace, which offers 360-degree views of San Miguel de Allende. 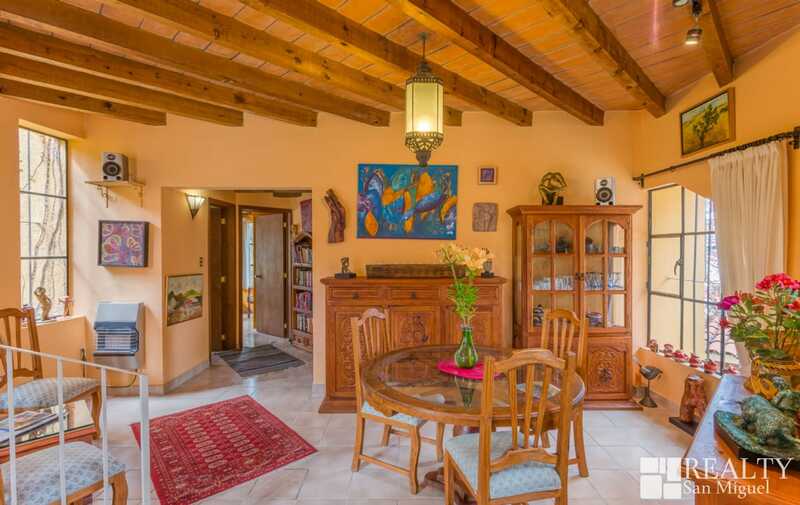 It has three bedrooms and three bathrooms; its size – 130 square meters of construction – makes it an ideal home for independent people or for couples who lead a private, tranquil social life. 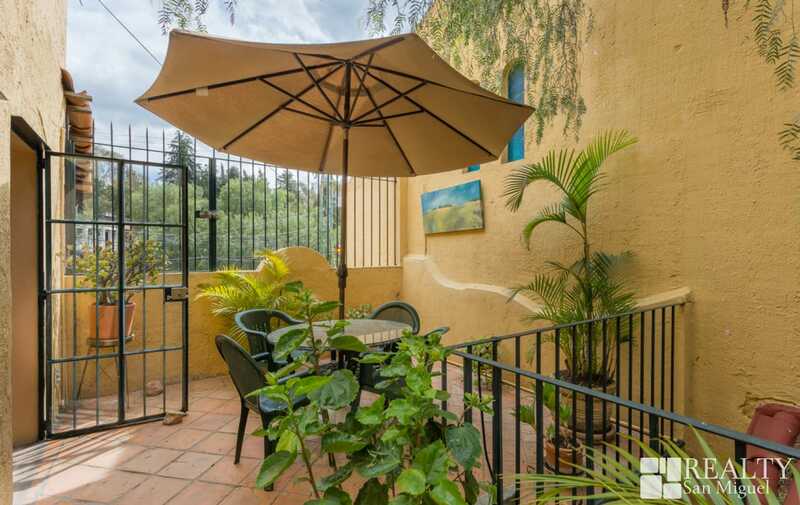 Casa Los Patios has four different patios, each one with their own personality, which bring a distinctive and cozy touch to the property. 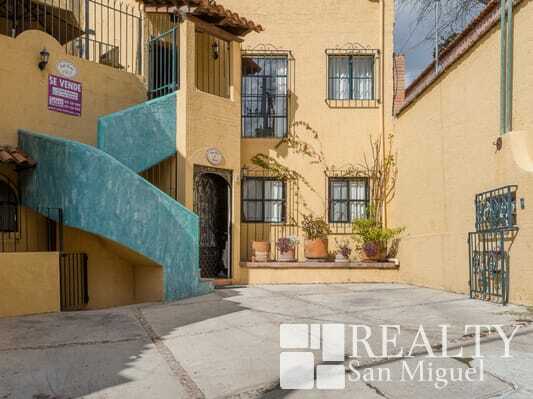 It has exterior parking space for one vehicle, and the steps between floors are very manageable. 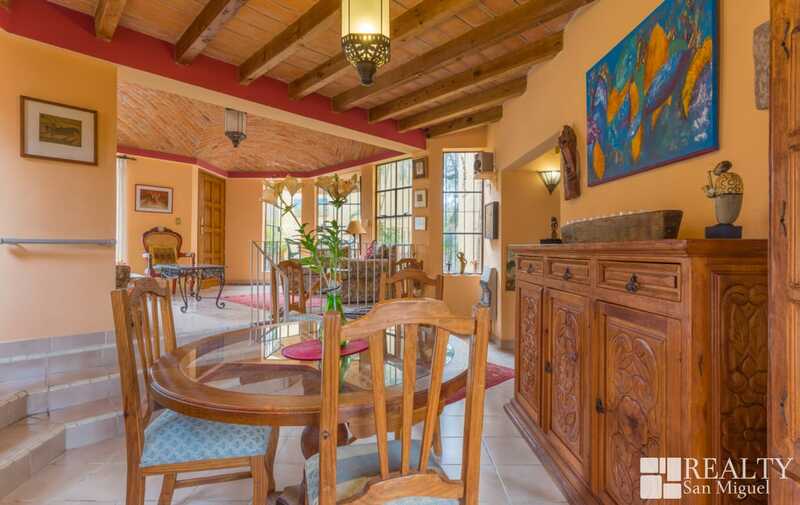 Upon entering Casa Los Patios you will find the first patio to the left of the main living room. 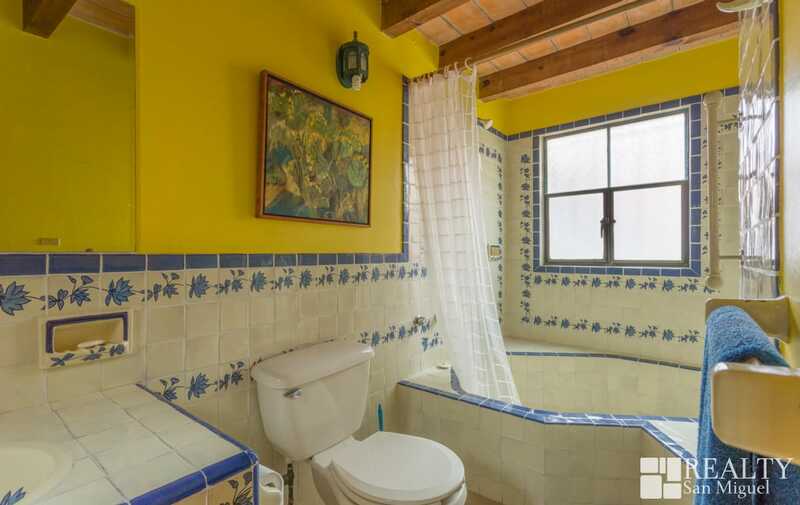 On this first level there are two bedrooms: the Master, which has its own bathroom featuring a spacious bathtub, whereas the second bedroom currently functions as a home office and is adjacent to a full bathroom, perfect for visitors. 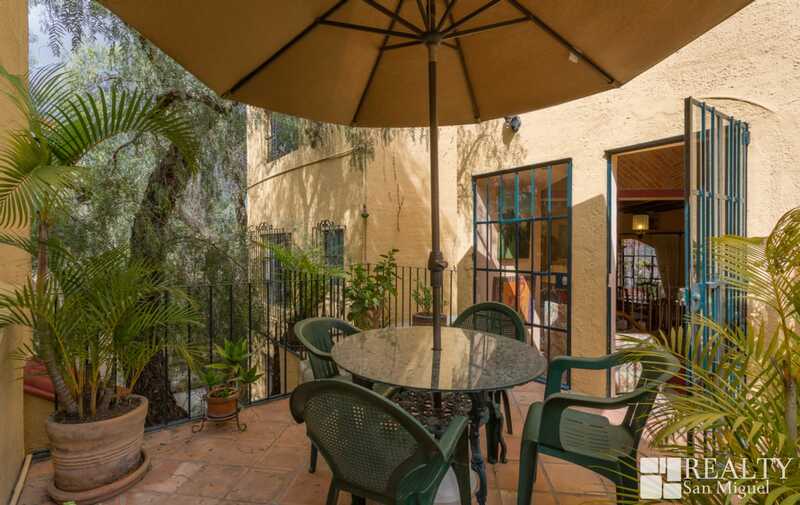 Afterwards you will arrive to another landing, which will bring you to a larger patio from which you will be able to appreciate the Atascadero stables in the distance; as well as a cacti garden planted by the current owner. 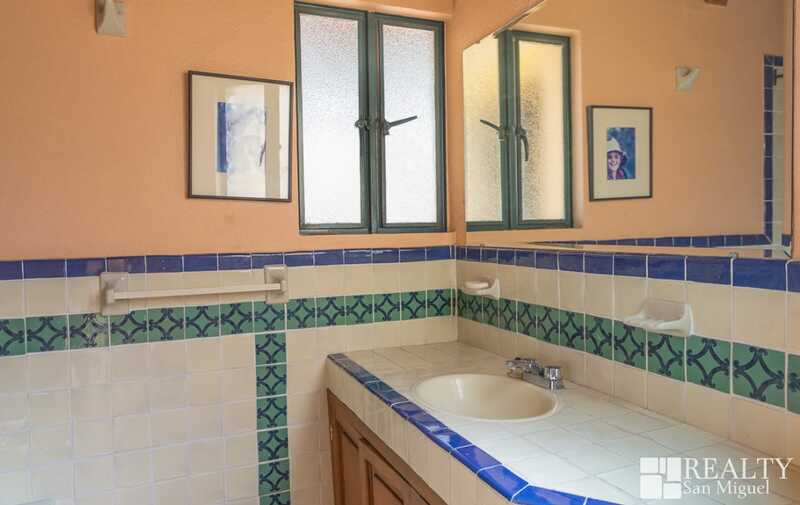 On this same level you will find the service quarters. 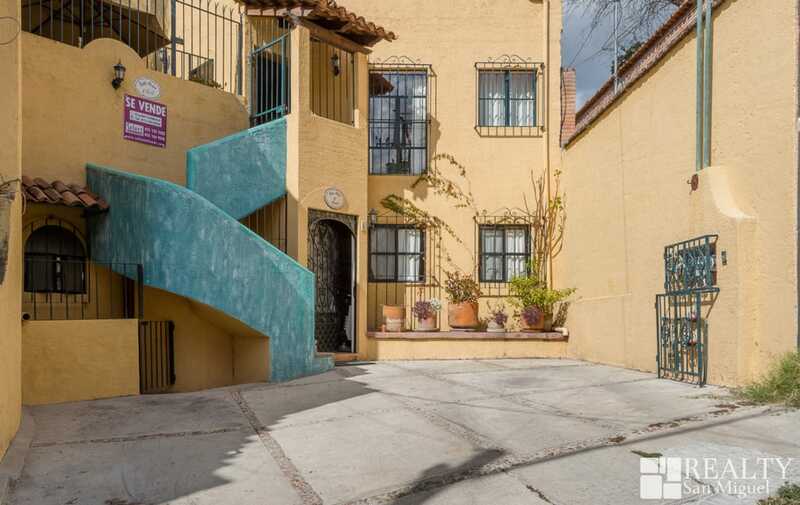 Climb a few more stairs and you’ll reach the upper patio / rooftop terrace. 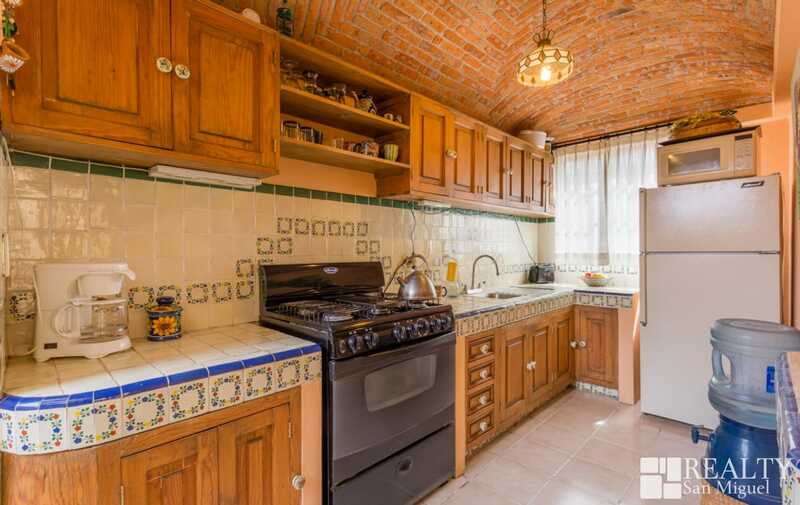 The comfortably spacious kitchen is mere footsteps away from the dining room. 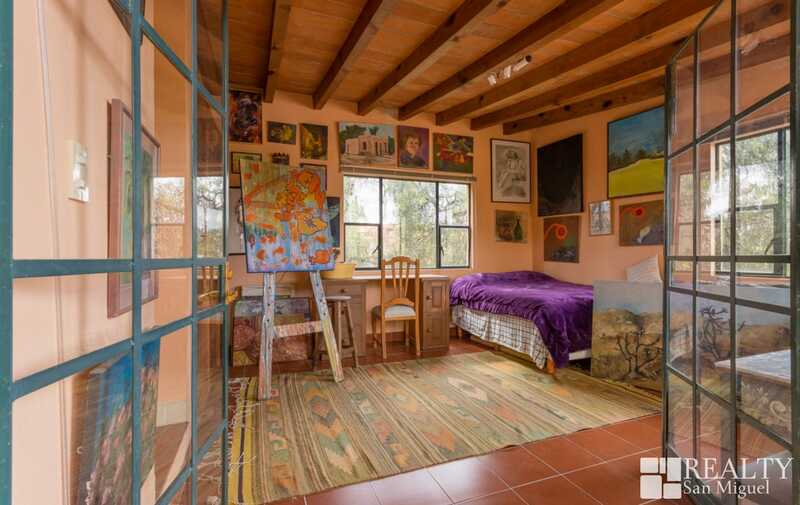 After climbing up a few steps you will arrive to the art studio / bedroom which also features its own full bathroom with a shower, as well as its very own exterior patio. 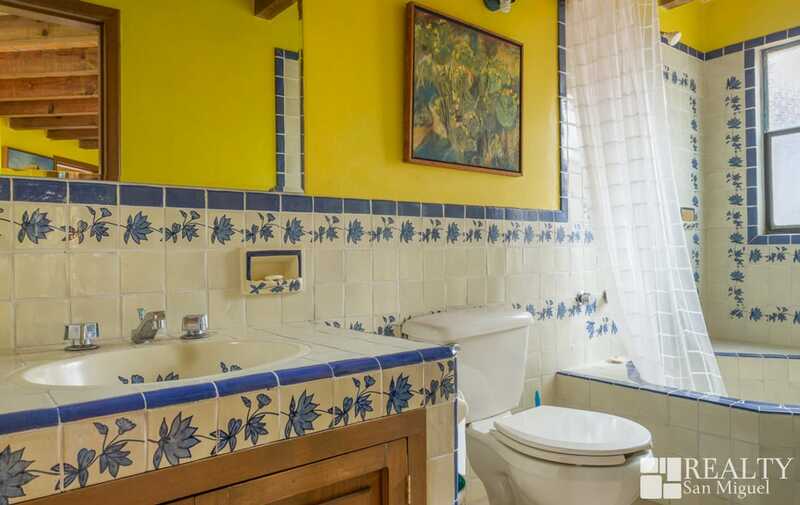 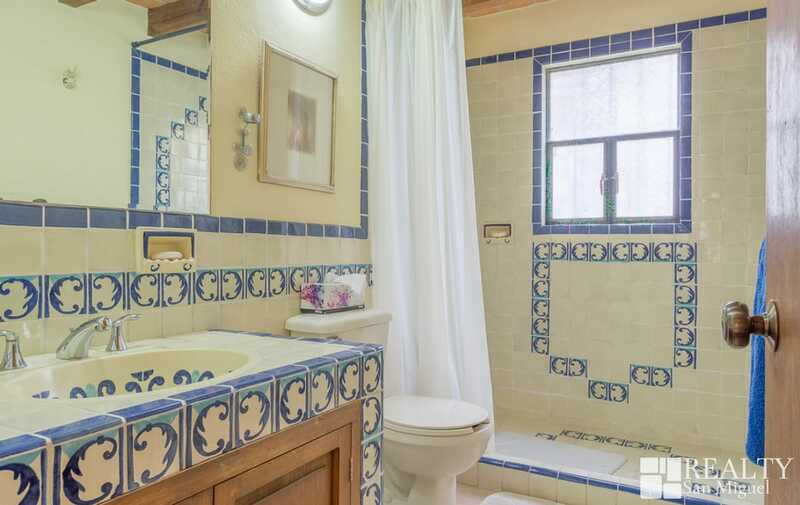 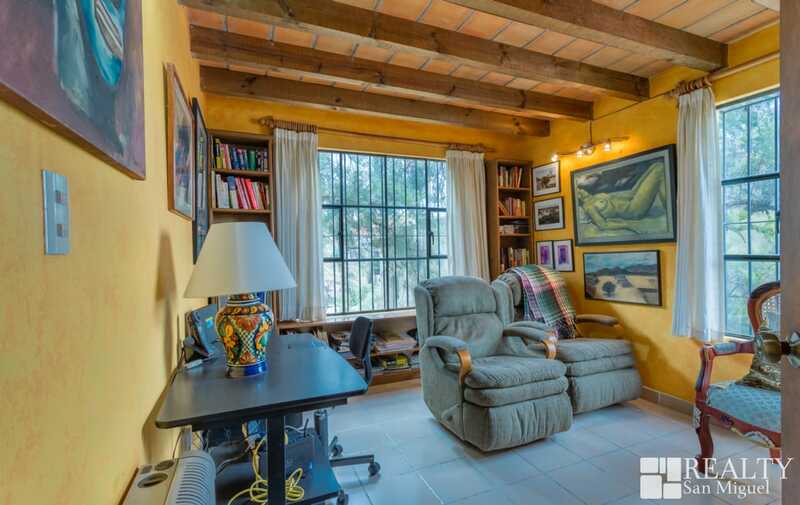 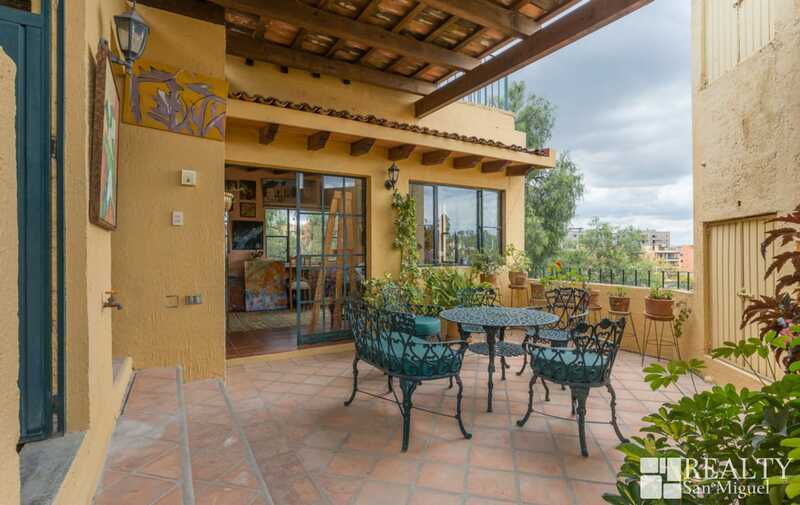 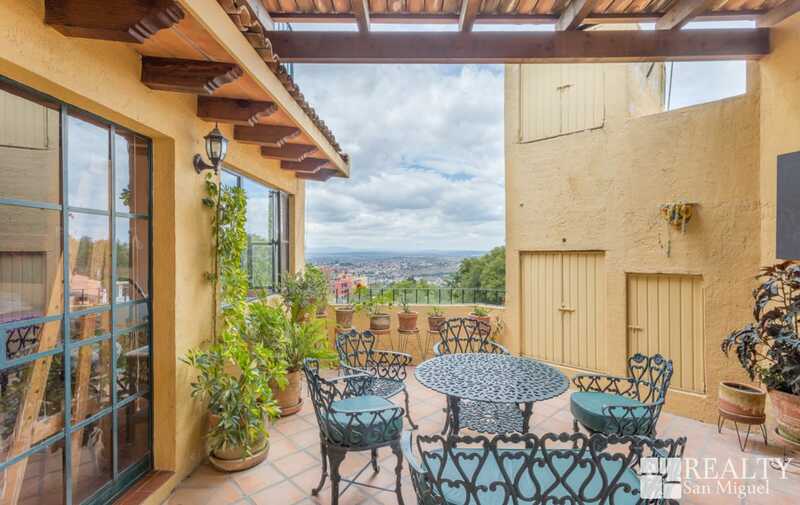 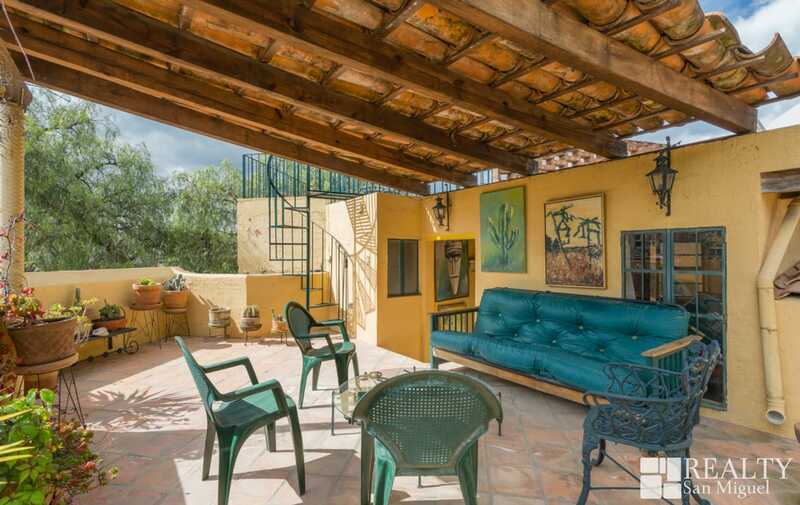 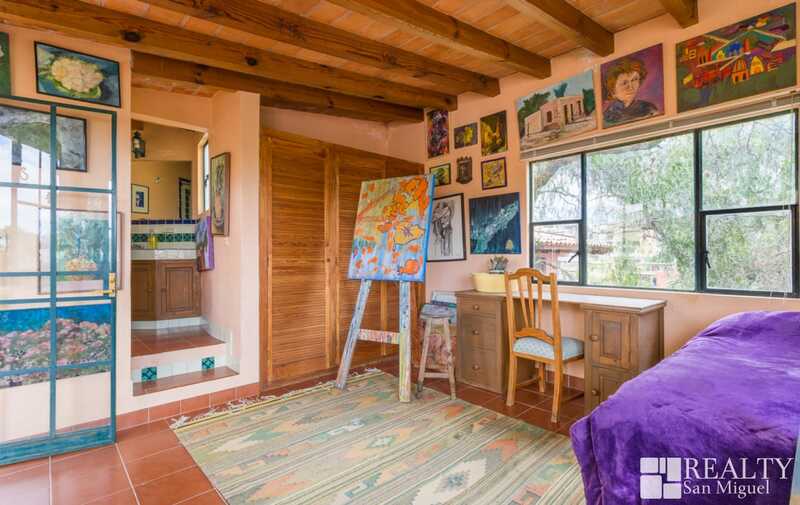 Quaint and quintessential San Miguel de Allende condo, at a price that will make you swoon!